George Michael is without a doubt very happy. The singer’s new album is number one, achieving an incredible success. The new album, Symphonica, managed to beat the highly successful album of Kylie Minogue, in UK charts, this week. This album marks a highly successful comeback of George Michael after no less than 10 years in which the singer seemed unable to make an important presence on the market. Symphonica is an interesting album, as it actually is inspired by a collection of live performances of George Michael between 2011 and 2012. The performances are from a tour that the 50 year old star held. The album also features covers of some songs, as well as hits of the singer. It seems that fans were really happy to discover a new George Michael album, so happy that this project is now number one. Symphonica was able to beat Kylie Minogue’s latest album, Kiss Me Once only by 20,000 extra copies. This means that the Kylie’s album is currently number two in UK charts. What had George Michael to say about this? “Symphonica is at this moment sitting at Number 1 in the UK, and it’s so nice to be able to savour this wonderful moment. I am a lucky man!” the star claimed. On number three in the UK is now Pharrell Williams and his album G I R L. Paloma Faith with A Perfect Contradiction can currently be found on number four. The UK top charts this week also include a series of new entries. They include In The Arms of an Angel, released by Nicholas McDonald, who is at 6, this week. The star became famous following his appearance at the X Factor. Other singers who made it to the top include Duke Dumont, Jake Jones, as well as John Legend. 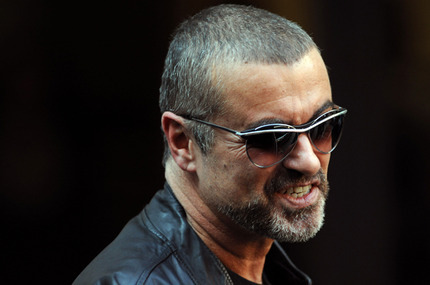 With the success of this album, George Michael dismissed all rumors indicating that the singer plans of retiring from this business. And it surely seems that the talented star still has numerous fans who are eager to discover once again his singles and performances.